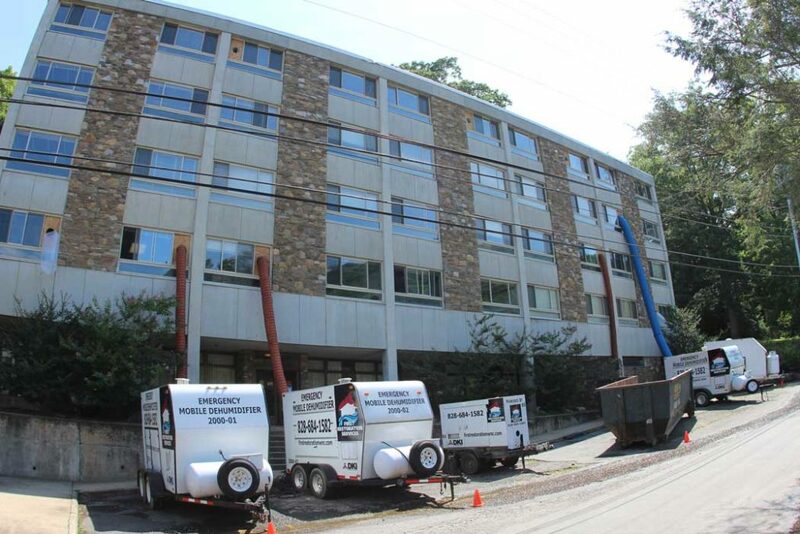 A dormitory roof in Western North Carolina was replaced improperly. Due to the improper replacement the dormitory flooded several times. 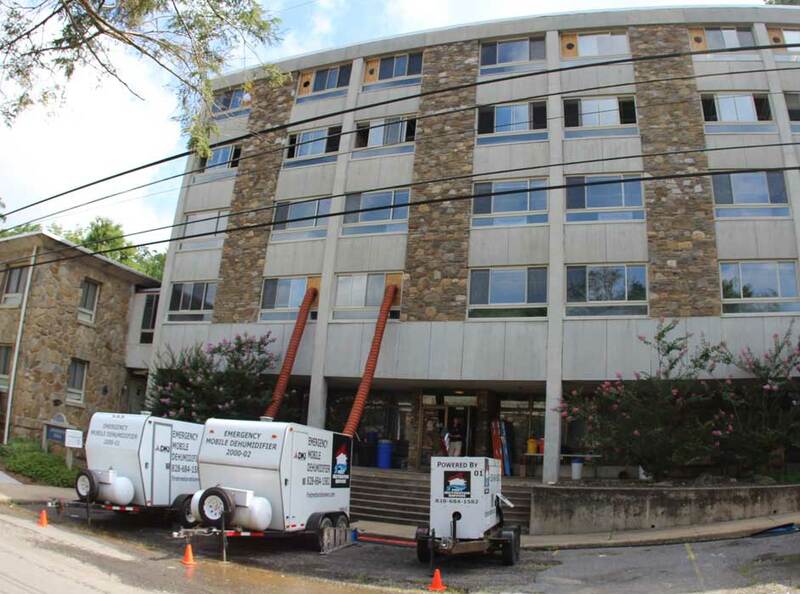 Because of excessive flooding and failure to dry the affected areas, it was deemed uninhabitable during a building inspection that revealed high levels of mold and moisture. Before anyone could enter the 28,000 sq. 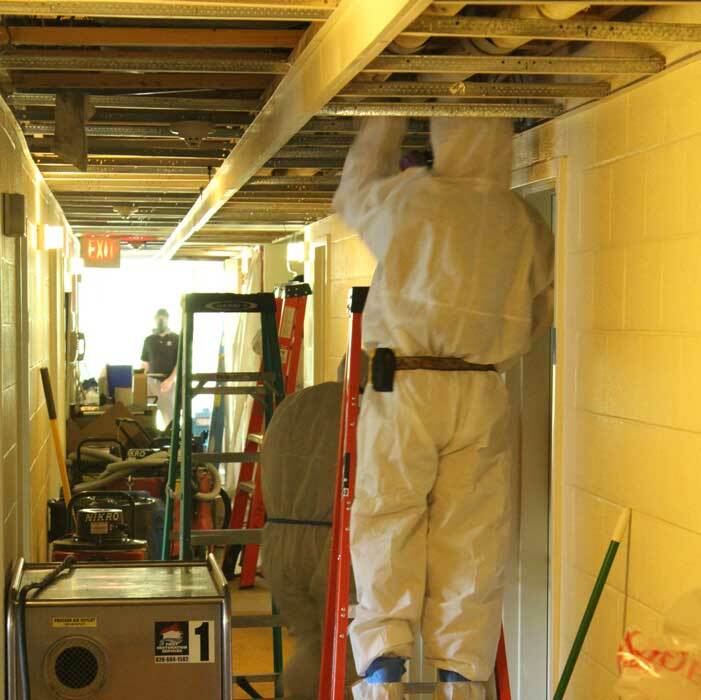 ft. dormitory, including five floors and over 80 rooms, they were required to wear personal protective equipment, including a respirator, due to the high levels of mold and 70% relative humidity. As the new school year was approaching, the college was under a deadline, which raised several questions such as, what steps to take, is there a reputable company large enough to handle the project, time restraints, and cost. Project Deadline – FRS began the job on July 9, 2013 and was contracted to complete the job by August 1, 2013. Drying – It was important to begin with the drying process to lower the relative humidity. 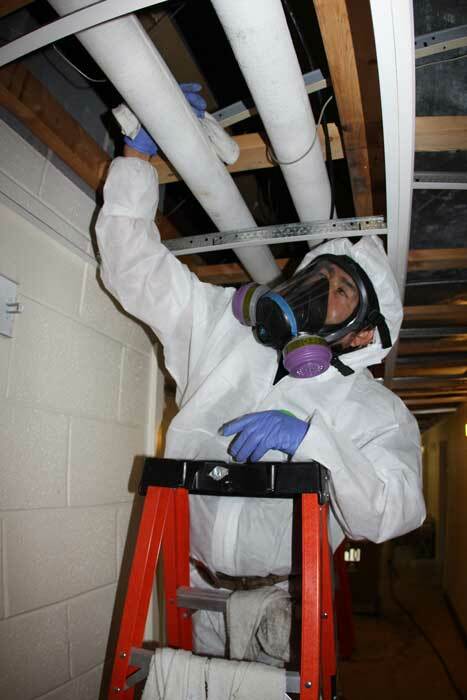 Testing – An Industrial Hygienist was hired to conduct testing and create a protocol for proper mold remediation. 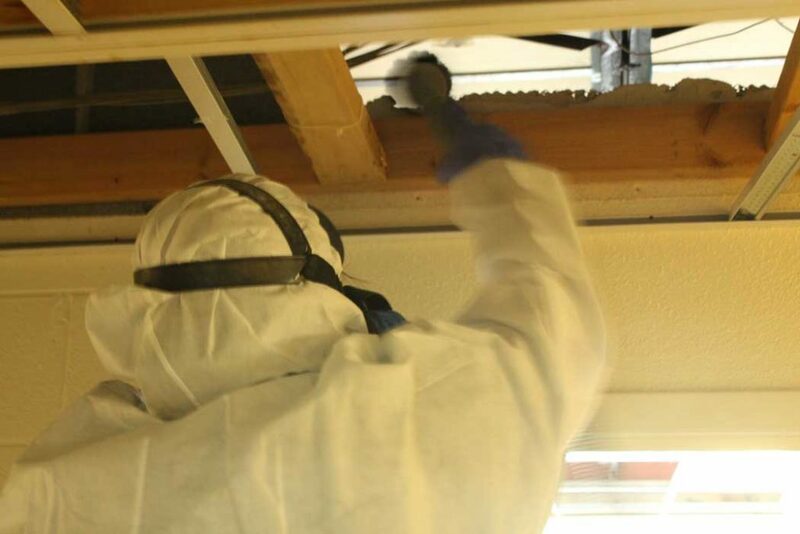 Remediation – Once the protocol was established, the building had to be cleaned by hand in its entirety then sealed. Cleaning – All contents including furniture and 4,000 pounds of bed linens had to be thoroughly cleaned. First Restoration faced several challenges; the primary obstacle being the 24-day deadline to remediate and clean the dormitory. Due to the time constraint and magnitude of the project, it not only called for FRS personnel to work seven days a week for 8-10 hours a day, but also required them to wear full PPE in a non-conditioned environment. Keeping morale high and employees motivated was extremely important during this process. Cross contamination was also a challenge. 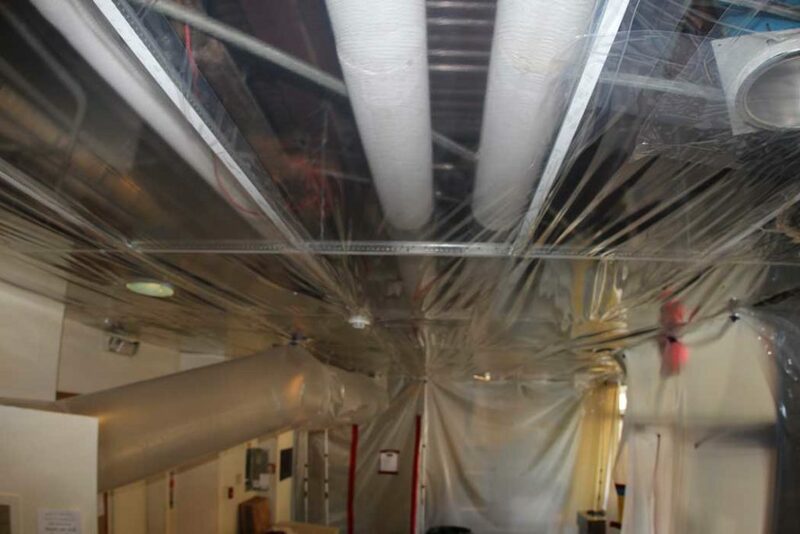 However, measures such as engineering controls, containment in entryways and negative air in areas still affected were taken and contamination was prevented because of FRS’ proficient knowledge of mold remediation. 7/9/13 – Created plan after walking through and evaluating job site. 7/10/13 – Setup drying equipment which included, three 2,000 CFM desiccant dehumidifiers, one 2,400 CFM desiccant dehumidifier, three Air Quest dehumidifiers, and 18 air scrubbers. 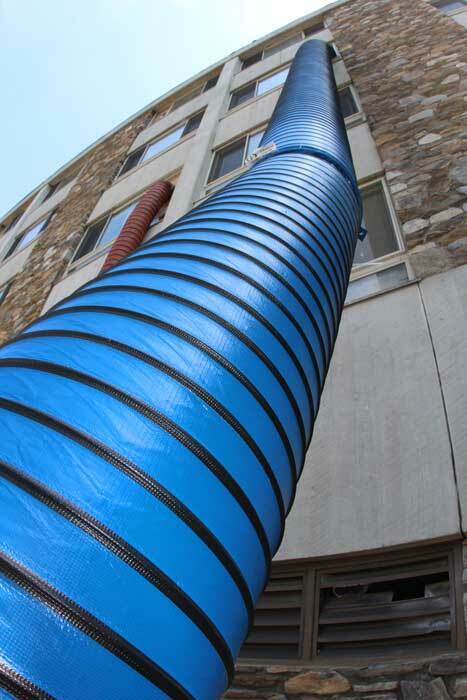 The dormitory was tested by the Industrial Hygienist for the purpose of creating a protocol for remediation. 7/11-14/13 – Command Center and dumpsters arrived. 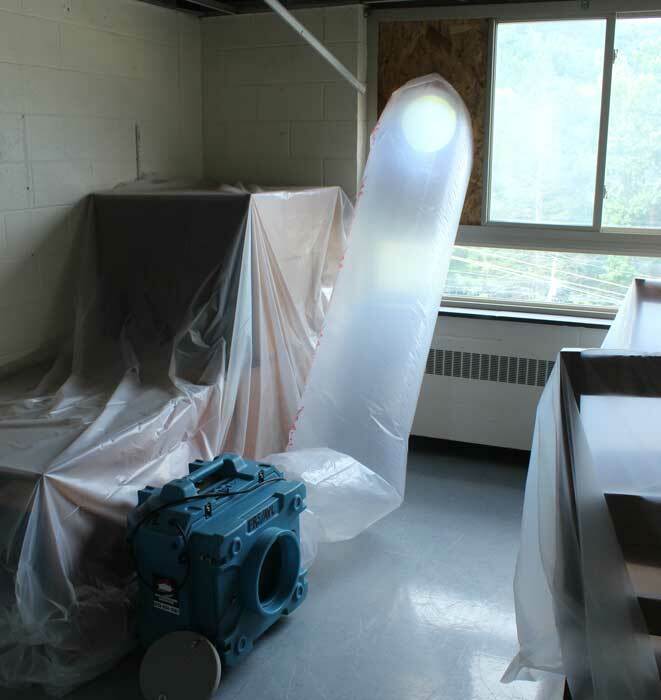 Additional air scrubbers were setup after ceiling tile and carpet removal. 7/14/13 – Remediation protocol received from Hygienist. 7/15-19/13 –HEPA vacuuming, hard surface remediation, and sealing of floors 1-3 were completed by a crew of 30 employees. Soft good items belonging to floors 1-3 were sent to FRS to be cleaned. 7/20-29/13 – HEPA vacuuming, hard surface remediation, and sealing of floors 1-5 was completed by a crew of 30 employees. Soft good items belonging to floors 1-5 were sent to FRS to be cleaned. 7/30/13 – Final testing and Inspection conducted. 7/31/13 – Job completed by the August 1, 2013 deadline.